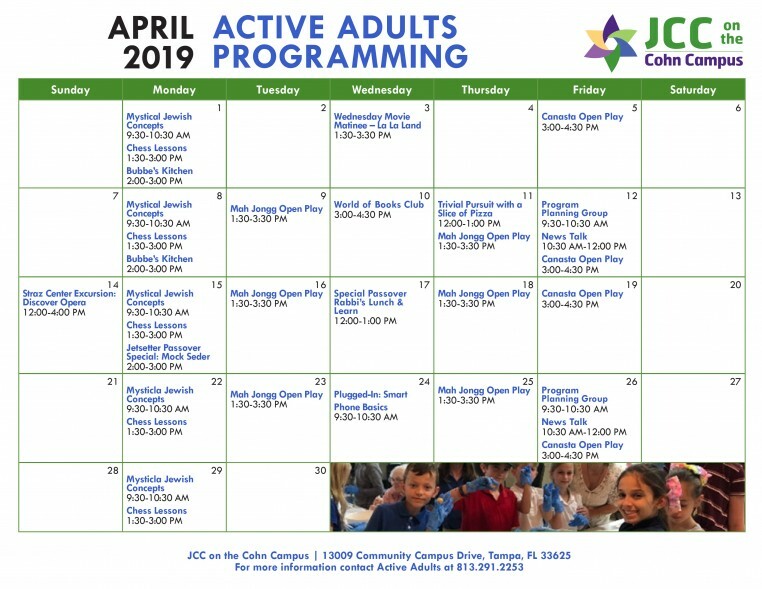 The JCC on the Cohn Campus offers social and fitness programs for the mature adult to connect with others through an array of engaging and lively events. From exercises for active aging, to ballroom dancing, to bridge, to the News Schmooze discussion group, you will enjoy comradery and stimulation at the JCC. 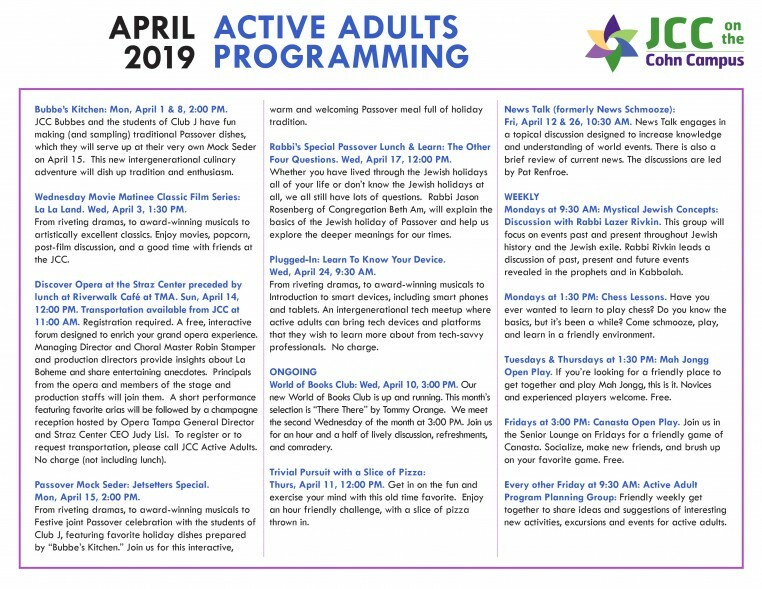 From lively concerts to excursions about town to stimulating classes, Active Adults enjoy comradery and fun at the JCC. The dedicated volunteers in the Active Adult Planning Group are committed to making sure that whatever your interest, there is sure to be something for you at the JCC. Friendly weekly get together to share ideas and suggestions of interesting new activities, excursions and events for active adults. Along life’s journey, learning never ends! 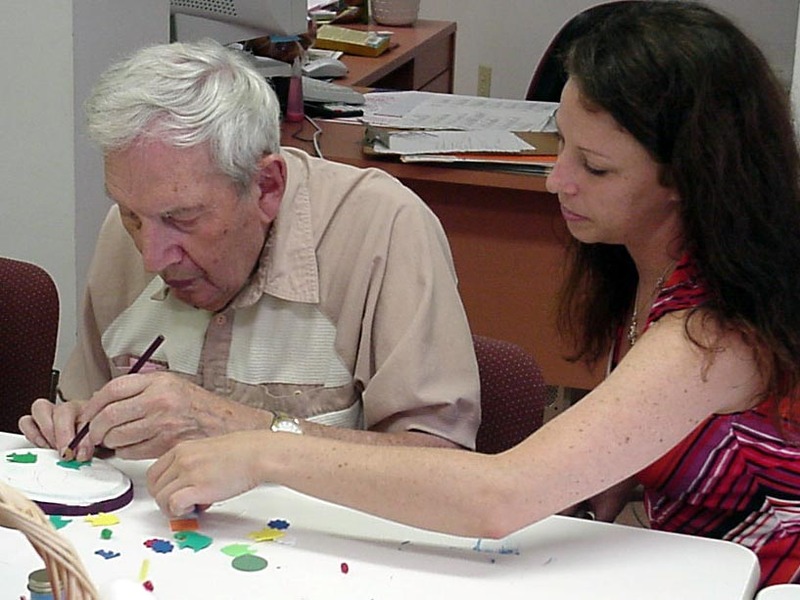 In partnership with USF, the JCC on the Cohn Campus now offers beginning computer classes and water color painting classes. Live, Learn & Grow! For more information please contact Pnina Levermore, Adult and Senior Program Manager, at pnina.levermore@jewishtampa.com .